Christmas is a time of hope, a time of joy, a time for looking at all that we have been given. For most of us, our blessings far outweigh our deficiencies, and I hope this is the case for you as well. I don’t have much to write this week, mainly just a plea for you to take a moment, consider your life, and realize all of the things you have been given — all of the blessings you have received. Now, please pray with me these prayer requests and praises, and once again, Merry Christmas! My friend Amanda has an update on her husband Daniel. Here is what she wrote:Merry Christmas! We had a lot of things happen in the past few weeks and needed to get an idea of direction before we could send an update. First, it looks like we are staying off the CPT-11 (irinotecan) indefinitely. Daniel’s liver enzymes came back into normal range after a few weeks off the CPT-11. His Alkaline Phosphatase is still high but is lower than it has been since it went up shortly after surgery. His platelets are still struggling to stay above the level to get chemo so we have had a delay and started round 6 last Wednesday. This round should have started last Monday but he has developed a spot of osteonecrosis of the jaw in his mouth. This is basically an area of trauma that has developed an infection and eaten at the gum so the bone is exposed. As horrible as that sounds, after a consult with an oral surgeon, they determined the infection hadn’t spread to the bone and we are treating with 2 types of antibiotics a total of 5 times a day for 30 days. We go back in a few weeks so they can check progress and determine if the antibiotics are working. We really need the antibiotics to work because as it spreads, the outcomes get worse. Thank you all so much for walking on this journey with us! May you all have a blessed and happy Christmas and a safe holiday season!Please continue to pray boldly for Daniel, Amanda, and all of their family. Thank you! Please pray for the family of my friend Dee — we’ve been praying for Jim, her father-in-law. Sadly, Jim was called home. Please pray for them all, for their strength, courage, Peace, and comfort, and please also give Praise to God for Jim’s life. The service is today, so particularly be prayerful for them this day. Please also pray for the family of my friend Carey. Carey’s Dad passed away last week. Please be with them during their time of sorrow, but also give praise to God for his life as well. 52 years old, alone and homeless, he started weeping there on the sidewalk when I asked if there’s anything I could pray for him this Christmas. He said, “I’d like to find my son and tell him I love him.” He spent years trying, to no avail. He was leaving town that day so after 50 minutes of talking I had him record what may be the most heartfelt 50 second message I’ve ever heard and told him I would try and get it to his son. I located his son today and ask for your prayers that I would be led by God in sharing this. His name is Michael. Anger. Greed. Pride. Simple words, but they all add up to one big word: SIN. My friends, in today’s world, with the evil, debauchery, and sexual immorality in this world, we as Christians must be ever vigilant to make sure we don’t lower ourselves to the level of those that don’t follow Christ. It is a struggle for me, and one that I would appreciate your prayers on, please. At times, it can be really easy for me to see the injustices of the world — for example, major department stores opening at 8PM on Thanksgiving Day, a move that is absolutely nothing but greed at it’s ultimate — and allow the anger and frustration at the situation creep into my heart, and the next thing I know, I’ve sinned. Do you experience times like this? If you do, the only thing I know to do is to talk to God — pray, tell Him what you are going through (which, of course, He already knows) — and you will distract your mind and heart off of the potential sin, and put your focus on your Heavenly Father instead. Thank you for joining us for this week’s Prayers for the Week! My friend Autumn, the daughter of the Baptist Minister that baptized me, reminded me of the good that exists in the world. Here is her statement on Facebook:It’s pretty bittersweet when you realize that tonight is your last shift on one of the most amazing hospital floors I have ever been on. To say that I will miss the floor is an understatement. I don’t know that I can even say thank you enough to the men and women there that taught me so much… thank them for their support, help, love, and friendship. Thanks also to the amazing patients on the floor.. Bone Marrow Transplant is truly the most amazing calling, and I am honored to have been a part of that for two years. I hope to see you all (under good circumstances–not an ICU transfer) still as I move in to the Cardiac ICU. love forever & alwaysToday, I give praise to God for her and others like her, that work for those that have special needs, and give of themselves, rather than always taking. Here’s another praise-worthy event from my friend Heidi, one of the sweetest people I’ve ever met!13 years ago today, Brian and I laid eyes on this girl for the first time, and our lives were forever changed. Not only did we gain a new daughter that day, but we extended our family through the bond that is adoption So, today, I’m thanking God for bringing Gracie into our lives and for the all the joy she has brought us. And I’m also thankful for our far-away (yet very loved) family – RoseMarie (the lady who made it all possible), Karen, and Lora (and the “other” Gracie). HAPPY ADOPTION DAY!!! Praises for a safe journey for my niece Stephanie and her husband Shane and their dog Zazzy! Praises for my friend Bambi, who has been through so much but has more that she needs to go through even still. Despite the pain she has had this year, she still has one of the best souls of anyone I know, and I give thanks to her and her husband Ricci for the love they have for one another and for the family they have created together! In addition to this, the other praise for Bambi is that she passed the kidney stone! From my friend Aunesty:Gabe has his first Nerve Block tomorrow morning, please pray that it is successful and gives him some relief.May God grant him the relief he needs today and for the rest of his days! 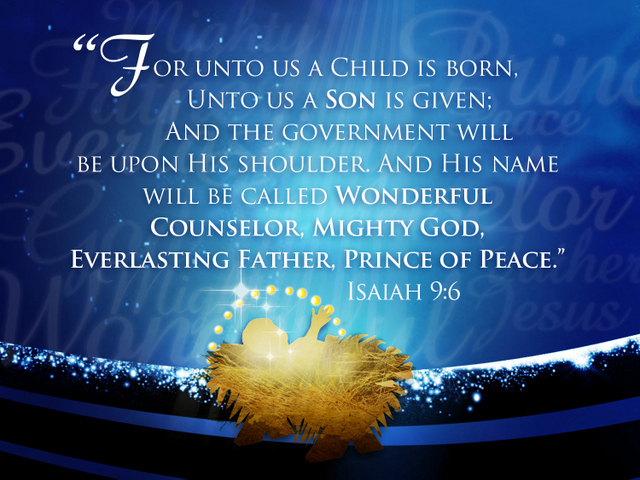 May the Peace of God descend upon him, and give him all the rest he will ever need! Amen. I’ve received an anonymous prayer request. Please pray for this situation:Hi Everyone, I am writing to you this morning to ask for some prayers. As you may or may not know, our daughter is at grad school where she is studying to become a physician assistant. Recently she became concerned about some heart palpitations that she has been having, so decided to go get an EKG just in case. Yesterday the dr. contacted her because they found something that could potentially be a problem and want her to see a cardiologist for further evaluation. The dr. stressed that it was just as a precaution, and that is what we are trying to focus on…..but it could also be something very bad too. This syndrome that they want to check for, can cause the heart to actually just stop, and is one of the leading causes of sudden death in otherwise healthy young adults. She is scared as we all are, because she knows exactly how serious this could end up being. We are just trying to stay positive at least until we know more when she sees the cardiologist on Thursday. So if you wouldn’t mind keeping her in your prayers this week, I would be beyond grateful.Healing prayers for their daughter. May God take care of the family, give them His Peace, Comfort, and Strength, and may He also guide the doctors looking after their daughter so that she may be healed physically and emotionally! It is in Jesus’ name we pray with Thanksgiving. Amen! In addition to the praise for Bambi, we’ve also got a big prayer request for her too:A few weeks ago I had to visit the ER with abdominal pain. After a few CT scans, diagnosis, kidney stones. However those same CT scans showed a mass on my left kidney. Today I had that mass biopsied. The test at the hospital was positive for asymmetrical cells (cancerous). I will need half if not all of my kidney removed. All I’m asking for is prayer!! Because with God, all things are possible!! Thank you! Heavenly Father, please be with your servant Randy as he strives to get over whatever is bothering him. Please guide his doctors as they work on solving his vomiting and heart trouble, and bring him the Peace that only You can provide, and give them all the comfort and strength they require at this worrying time. It is in the name of Your Son Jesus that we pray this day and every day with Thanksgiving. Amen!